house-foraging | Crappy Kitchen - Good Dinners! Since coming home to Ireland for the summer a few weeks ago, cooking has been one of the priorities. My sisters love when they come home from work and dinner is underway, and since they like the same foods I do, it is an easy way for me to please them and myself at the same time. The problem is that shopping has not been high on my list. I have made this admission before, but shopping for groceries in large supermarkets is a loathsome task as far as I’m concerned. From the garish lighting to the tinny-sounding elevator music, the whole thing feels like torture. It is a different story when the grocery shop is all about the finest of everything, with little samples of this and that to amuse me while I find myself pondering over things that very seldom find their way into my food, like elegant jars of preserved lemons and lychee syrups. 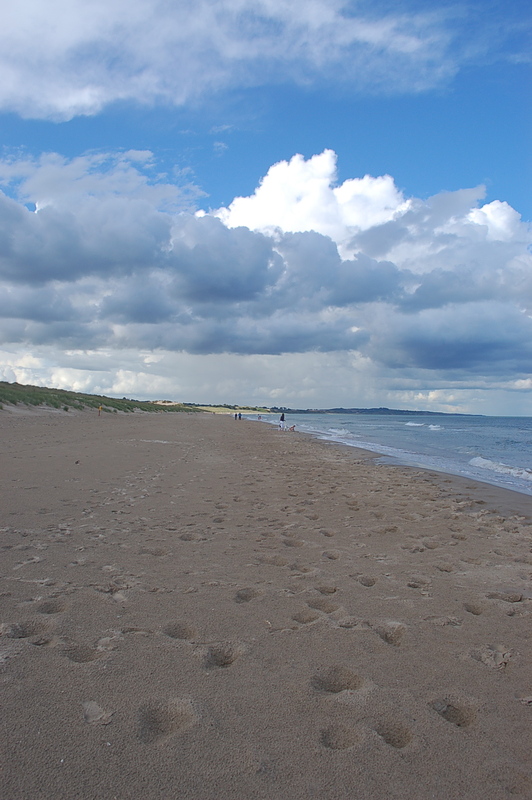 The supermarkets in Ireland are not that interesting unless you are shopping in a big city or the suburbs of one, where there is more diversity and affluence, resulting in a more interesting selection of foods and higher quality standards. The way to shop if one had time is to go to the fabulous butchers shops, fishmongers, and farmers market style shops. During the day, my time is spent hanging out with my kids, reading and trying to write (Ok I’m spoiled rotten), and in the evening I cook and spend time with my lovely sisters and sometimes a few friends. Who has time to trek from shop to shop everyday for key ingredients! 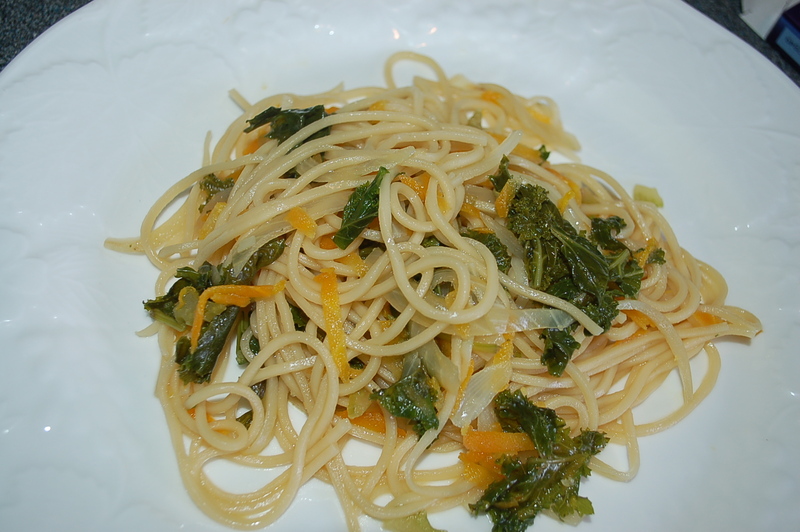 This great dish was born from scrounged-together ingredients, managing to satisfy the carnivores and herbivores alike! At this point I can’t say enough about deep green, curly edged kale. I bought it at a farmer stand where the man said he had just picked it from his garden at ten o’ clock that morning. I bought a few bags knowing it would keep very well in the fridge for a week, and this was the kale that made this dish special (along with the wonderful lemon zest). If you buy hardy greens, have a supply of protein in the freezer (be it tofu, fish or meat), and a handful of herbs in your fridge, putting a meal like this together requires only occasional visits to the dreaded supermarket. 2 – Put large saute pan on medium heat and add the extra-virgin oil. 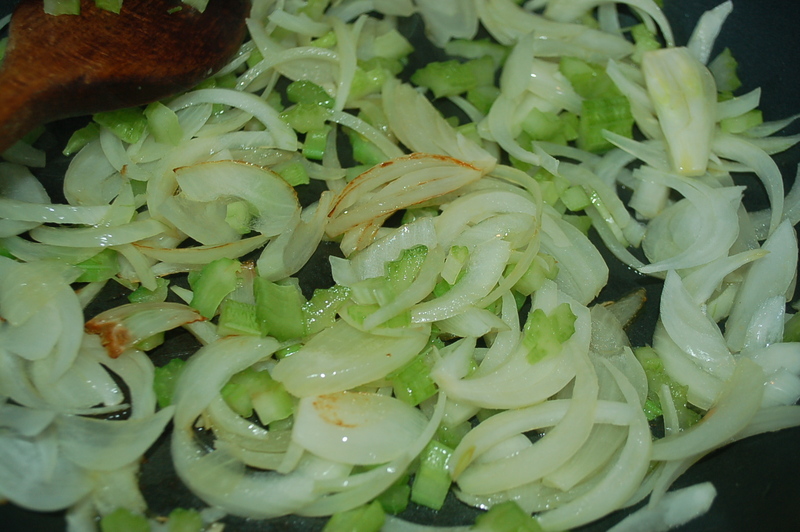 Cook onions and celery for 10 minutes, stirring occasionally. 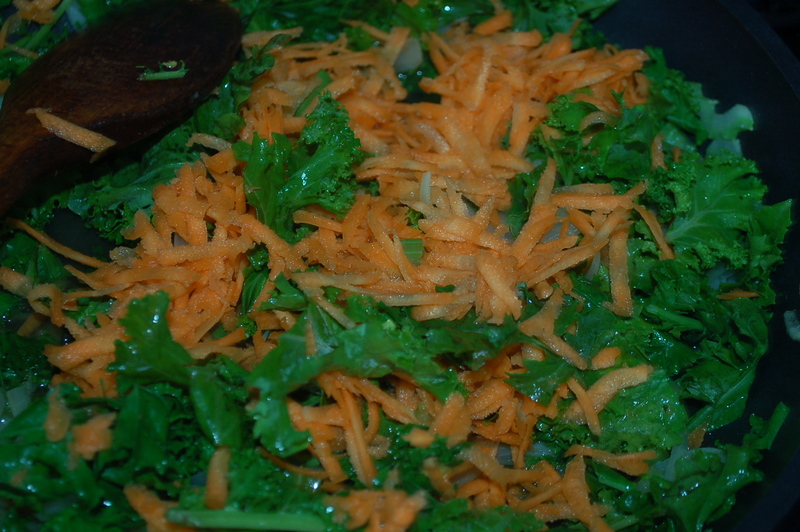 3 – Add chopped kale and give everything a stir before adding the grated carrot. Cook for about 2 minutes until kale begins to wilt. 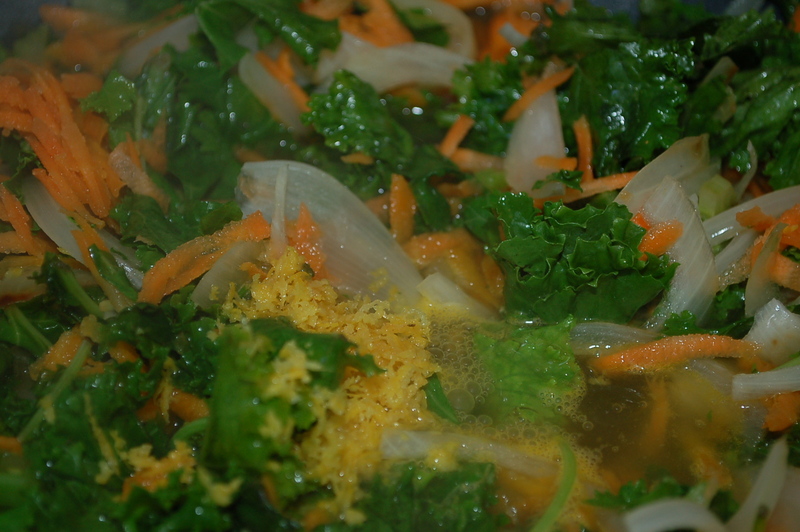 4 – Add the broth (or water & Bouillon cube), herbs, salt, cayenne pepper flakes, and lemon zest and stir. Bring everything to a simmer, and cover. 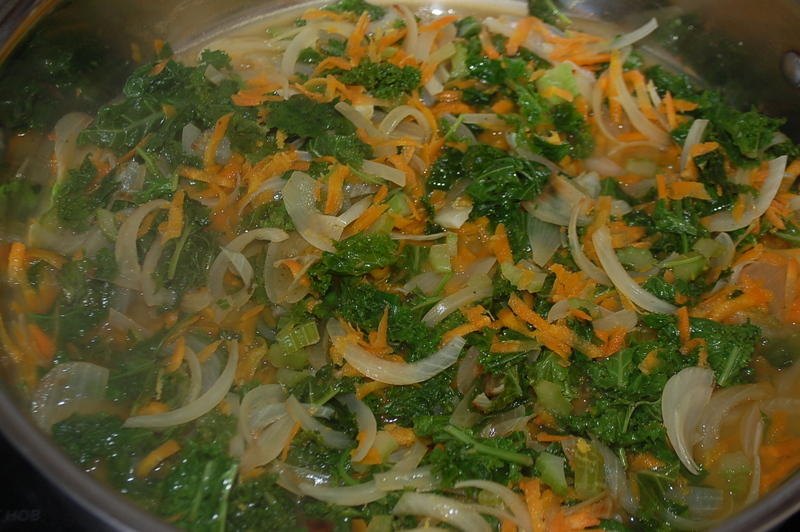 5 – Allow to simmer for about 10 to 12 minutes after which time the kale should be soft. Taste for addition of more salt (and pepper if you like). 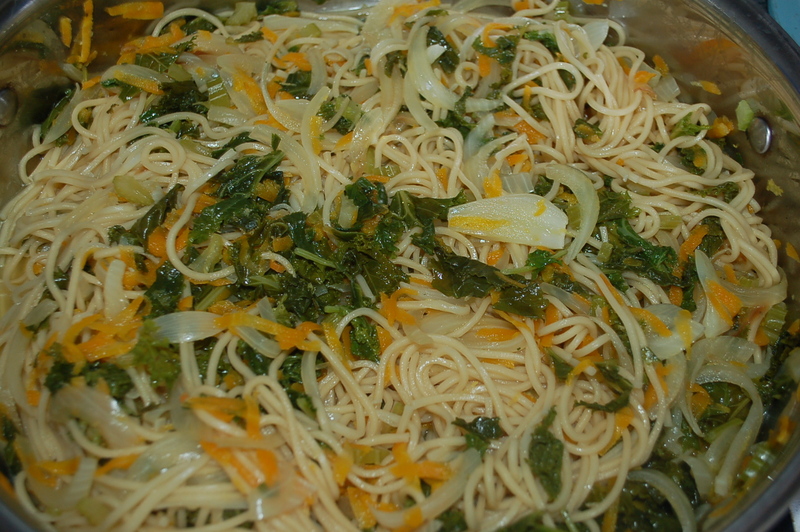 Add the noodles and serve when heated through. If you are using sausage, slice into thick pieces and divide between each dish. 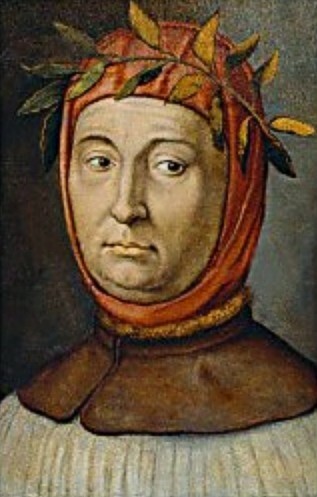 A moment of digression allows me to announce that today is the birthday of the Italian poet and scholar, Francesco Petrarch (a brilliant thinker, and one of the founding fathers of the Renaissance).